I don't know if you all seen these straps yet but I heard about them the other day and tracked them down. I was going to buy some and carry them myself but they are a little rich for me right now. 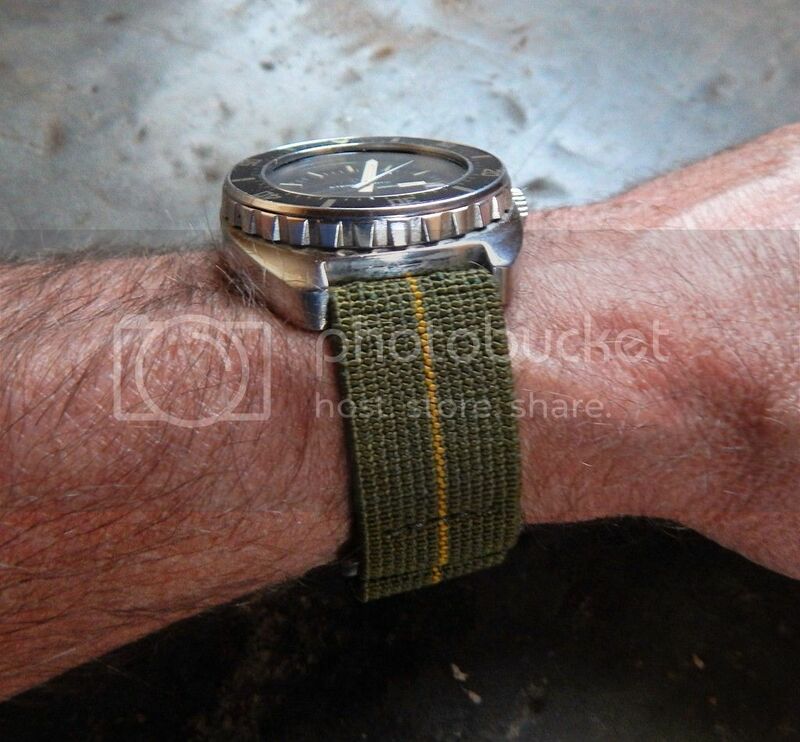 My Marine Nationale divers watch straps are fully adjustable, made after the original from 60’s/70’s Marine Nationale elastic parachute braid and parachute hardware. 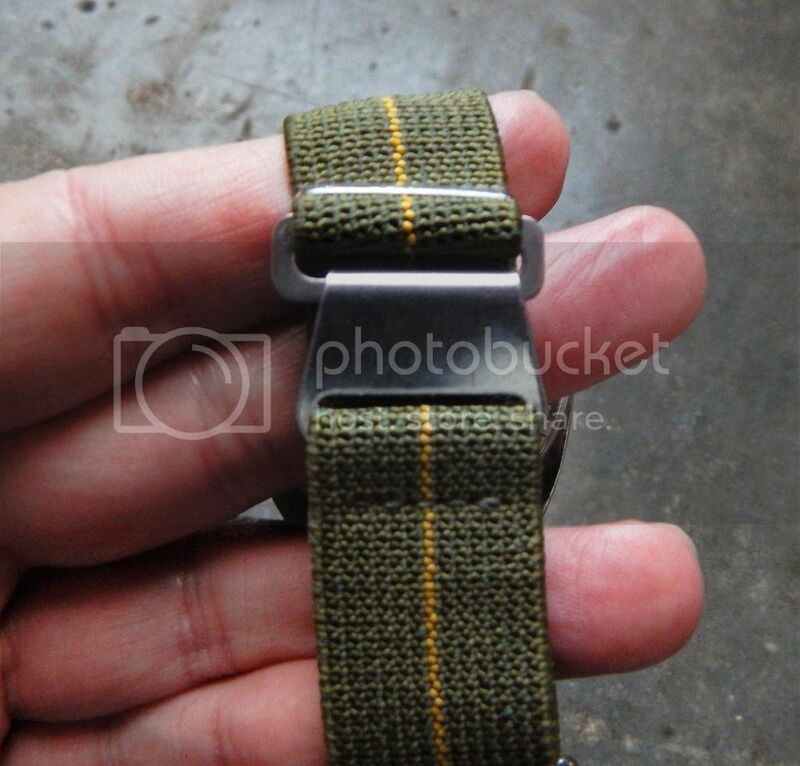 The width of the woven elastic braid is 21mm. 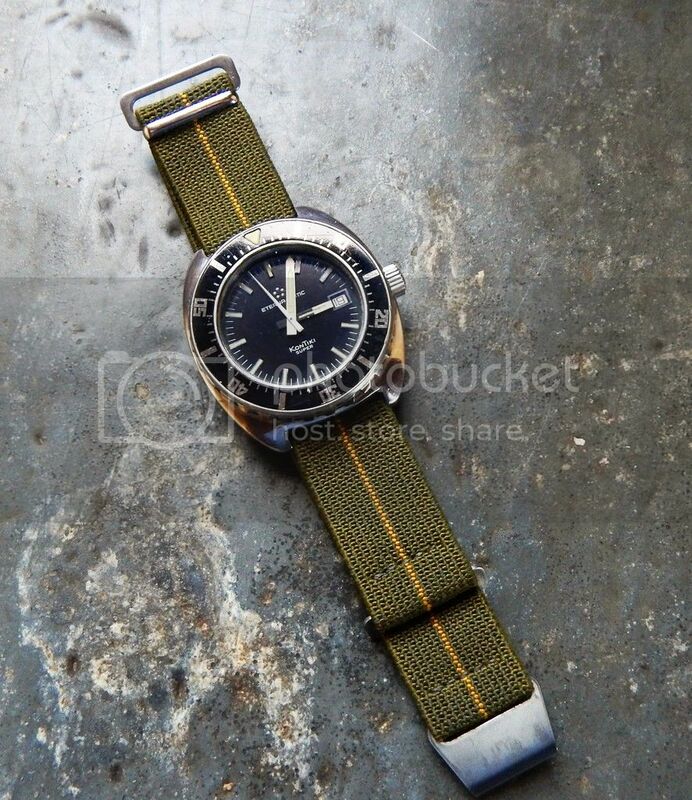 For your 20/22mm Doxa, Tudor, Triton, ZRC or other Marine Nationale watch. These straps are very easy and comfortable to wear. Usually ships within 2 days. Free shipping. You choose: Stitching color: green (invisible), yellow or other color. Terry you know they're elastic right? the buckle appears to be a simple "hook on" style, which would make me nervous. Where can I order? I'll take one! Panerai7 wrote: Terry you know they're elastic right? Yeah they are the same style as the og version, which was elastic. Not something I would wear but oh well. Grahamcombat wrote: Where can I order? I'll take one! Graham her link it is up above. They are about $50 even. They are about 21mm thick. Oh, I Glancy'd your original post: I thought you were selling them. If you ever choose to carry them, or if it benefits you in some way, I'll order them. Otherwise I'm not spending money on straps from someone else. I just saw these the other day when I was looking at pics of Doxas on IG. I would love to hear some real life feedback. I think Jason Heaton is into these right now. Cool idea but I'll stick to Toxic, too. mattjmcd wrote: I think Jason Heaton is into these right now. Cool idea but I'll stick to Toxic, too. He is, they are cool but at $50 and the fact that they are 21mm just doesn't sit with me. I think there might be a market in the vintage sub world but not mine right now. Maybe later on though. Form > function on these. I do love the way they look, particularly on a blue snowflake. That looks like a cool strap I mite have to try one. 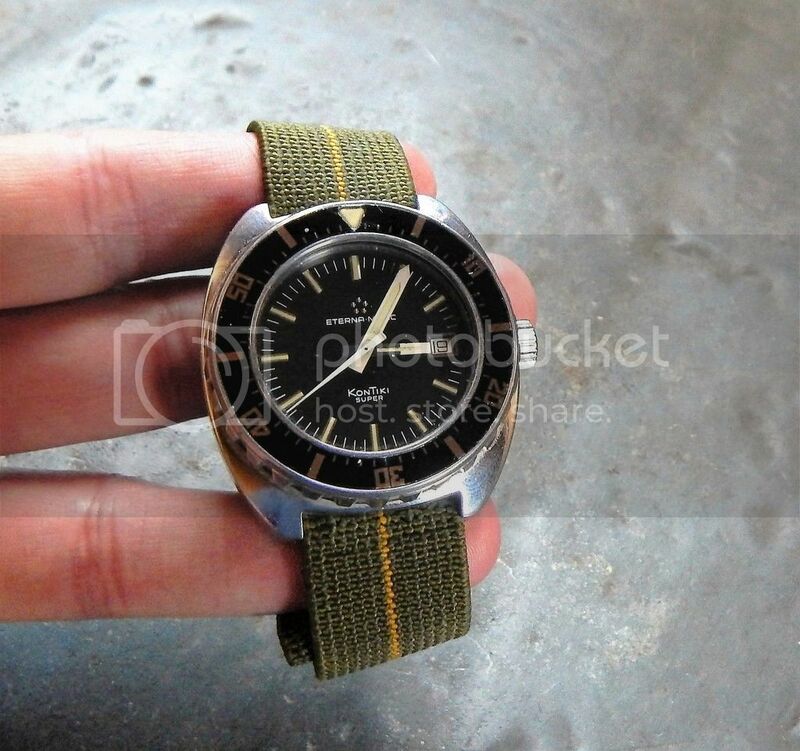 To bad I sold the only French issued dive watch I had in the collection this would of went great with it. 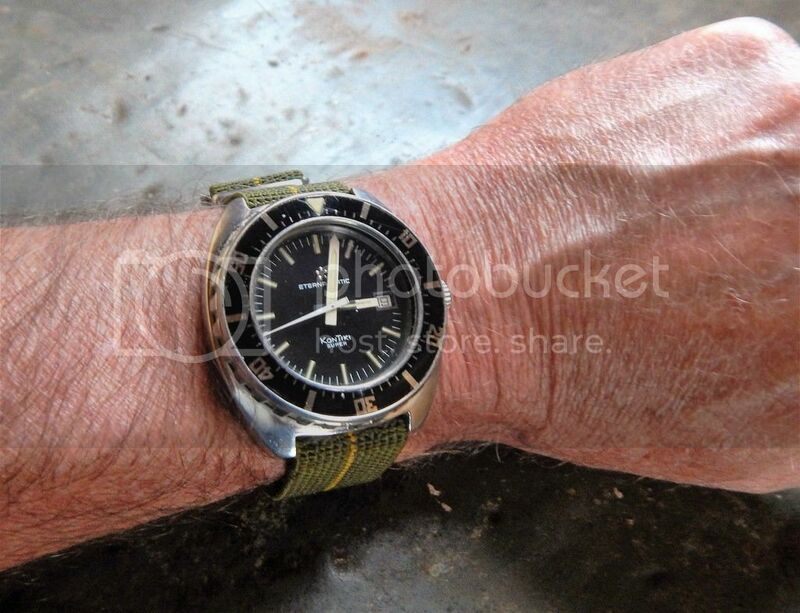 Well I ordered one mite look good on my issued IDF Eterna Kontiki Super. 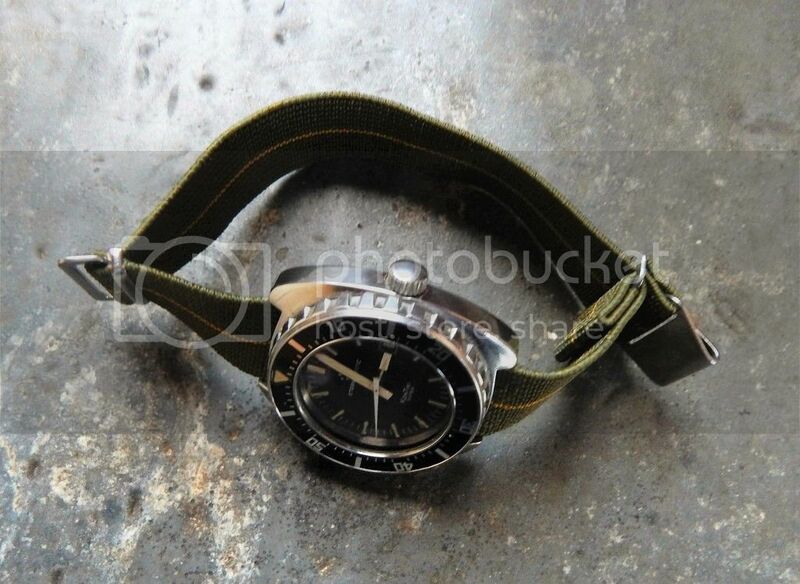 Anther link with some more photo's of the strap the seller sent me and the seller looks HOT. 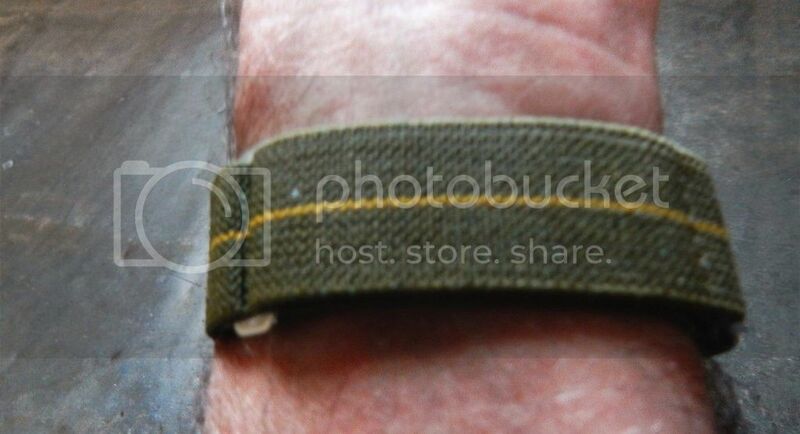 I am still not sure about the longevity of the elastic material, not to mention the clasp on it. Let us know what you think when you get it Mike. I placed an order for 6 of these, 2 of S, M, L for BZ and myself. They definitely appear to be more original than the adjustable style, but the closed loop sizing could be an issue. I'll give a review when I get them. For those looking to get them from here, they list the quantities of the each size, and I believe they were fairly low when I placed my order. Similarly, shipping to the US was 31 Euros, so a group by may be best. ^^^Yeah I wonder what they mean by "S, M, L"? Is that the lug size or strap length? Or do we assume they are all 21mm and that is the length of it? I may call them for sizing. Brice you're are ace in the hole as a French speaker! Well I got the one I ordered. Looks good on the Eterna Kontiki Super IDF and easy to adjust and don't bind up like most thought being 21mm strap for a 20mm lug watch. it's well made. Hey John did you ever get these straps in?